The main lake, (the only lake open for fishing) is a beautiful spring fed lake of approximately 1.5 Acres in size, with lots of natural features and wildlife plus some very good fishing. This lake has been an exclusive syndicate water, known for its above average Carp and Pike over many years. It also boasts an abundance of Roach and Rudd. 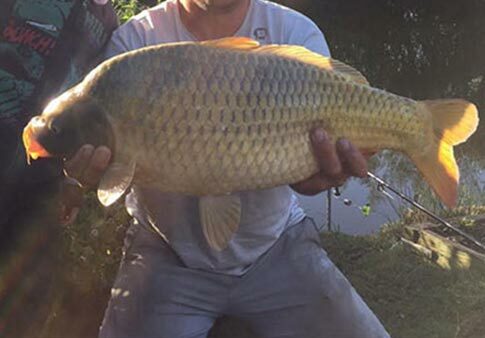 Gatton lake is renowned for its variety of fish with Common and Mirror Carp currently being caught at well over 30lb, and recent catches by some of the lucky anglers of over 40lb. Bream of various size and some of our best Pike are growing quickly, so we are looking forward to seeing what will they weigh by the end of the year! We are open all year round - day tickets must bought in advance. Night fishing also available. Discounts for multiple days and nights. Before fishing please take time to read the Terms and conditions. Day tickets (Members only) by appointment only. Night Tickets (Members only) by appointment only. You may start fishing on arrival. Tickets can be purchased from golf reception in the clubhouse and must be booked in advance, a Duty bailiff will make regular visits throughout the day and night to make checks. You must be over over 21yrs* to Fish at Gatton Lake Please take time to read the rules of the fishery before starting. Anyone in breach of the rules may be asked to leave without a refund and will risk being banned. All persons participating in fishing must purchase a fishing permit, hold a valid rod license and obtain a day-ticket - anyone avoiding the purchase of one will be banned. Only barb less hooks are permitted. Micro barbs and squashed barbs are not allowed. No keep nets may be used, and no fish are to be kept in any containers whatsoever. Keep nets are permitted in pre-arranged matches only. No more than 1kg of ground bait is permitted per day to avoid over feeding the lakes. You must ensure that you have the correct equipment, including one landing net and unhooking mat per swim. Carp cradles (or landing mats with side walls) and a minimum of 36-inch landing net must be used on the Lake. Gatton Manor Lake is a catch and release fishery - all fish must be returned to the water without delay and as soon as possible after being caught. All fish must be handled with care and may not be lifted more than 18 inches above the ground. Anyone causing damage to the property (which includes plants), causing a disturbance, using recreational drugs, using foul language or being inconsiderate to other guests will be asked to leave and risk being banned. 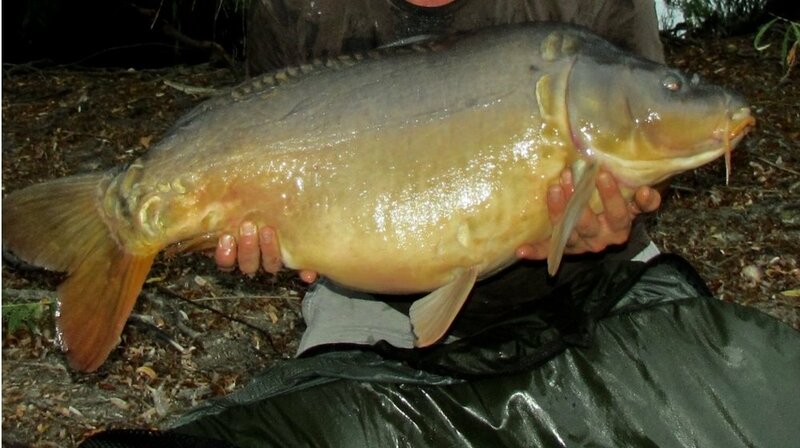 Please be aware our bailiffs regularly check hooks and rigs. Please do not be offended if we ask you. The Environmental Agency visits this fishery regularly to check licenses and will issue fines for those without one. We are serious about the well-being of our valuable fish stocks. Please report any violations of the rules to the duty bailiff or by calling 01306 627555. We are offering a limited membership to the fishery which runs from 1st April. Fishing is covered for one year from 1st April, with the use of up to three rods. This includes daytime weekends and bank holidays at the appropriate rates. To apply, please call us for a membership application form. Once completed, please return it to 'Fisheries', Gatton Manor, Standon Lane, Ockley, Surrey, RH5 5PQ, together with the appropriate fee. £30 per night, Visitors maximum 2 charged at £40 Per Person. If night fishing on the Lake, you must vacate your swim by 7.15am. You are welcome to bring guests along to join you on a night fishing session. There is limited availability for guest passes and these must be booked in advance. You will be responsible for their behavior at all times on site and any excessive drinking, noise or aggressive behavior will result in both them and you being refused admission in future. We do not have a junior membership scheme although we can offer a parent/legal guardian & child rate in some circumstances, please inquire. Juniors are not allowed to night fish unless they are accompanied by an adult of 21 years of age or more and who is a member. We will not be held responsible for any accidents. Please inquire regarding any family/joint memberships. Please call and request an application form. Return with two passport size photos and the appropriate amount as payment and we will issue you with a membership card valid for one year from 1st April. It is extremely important to us and our valued customers that only people who are responsible and of good character are fishing at Gatton. Members need to feel secure and know that their environment is as safe as it can be, and that their pleasure will not be spoilt by unnecessary noise and unruly behavior. We therefore require that all applicants are either known to us through regular daytime visits, are recommended by another fishing club, fishery or person of some standing in the community.